This Shakespeare guy’s pretty good, isn’t he? From performing it for my year six play (ambitious, I know…) to studying it during secondary school, The Bard’s Play has long been a favourite of mine. In whatever form, I’ve always found an inextinguishable might to Shakespeare’s tragedy. So, to see it perfected up on the big screen is a treat, to say the least. This adaptation is a prestige picture in every department. Markus Stemler’s chilling sound design is integrated brilliantly with Jed Kurzel’s atmospheric score, which, in turn, is a fitting accompaniment for Adam Arkapaw’s (cinematographer) immense visuals. The nature’s ferocious, the landscapes are vast and the mud is tangible. The film feels dirty and raw, yet there’s an unmistakeable beauty to every scene. The film thrives in this netherworld, where brutality becomes graceful and where a seed can grow into a maddening forest. It’s a balance that extends to Justin Kurzel’s (director) handle on the theatricality. One scene sees Marion Cotillard’s Lady Macbeth deliver a tearful single take monologue in close up, and the emotion conveyed stands ahead of any stage performance I’ve seen. But one thing this adaptation does share with the best of Shakespeare on stage is a transformation of the verse. It feels totally normal for these characters to be using this language and the meaning is all there when your ear locks in. It’s the most I’ve ever connected with Shakespeare, in any form. This is despite the potentially problematic accents. They’re unashamedly thick, even to my English ear, and I just hope they don’t prove to be too off-putting for international audiences. In the end, it’s Cotillard who comes across as the most comprehensible. While she can sometimes struggle with English-language dialogue, she does a great job here. In fact, her performance, as a whole, is rather fantastic. Her transformation from manipulative temptress to terrified conspirator is brought to life brilliantly. ‘Macbeth’s wife’ also becomes a surprising entry point for the audience and, as Macbeth’s bloody plan escalates, our fear is channelled through her. 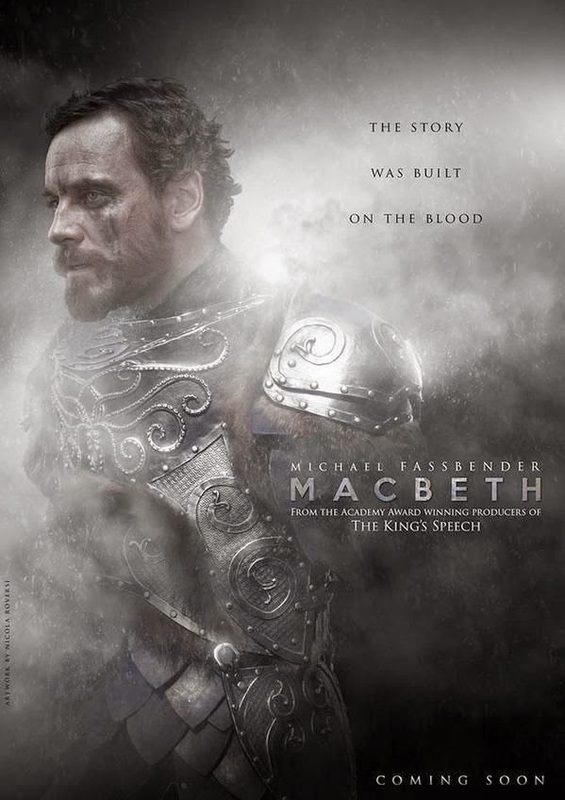 And, if Cotillard wasn’t good enough on her own, throw Michael Fassbender’s Scottish King into the mix and you’ve got a whole new kettle of fish. He handles every character development expertly. We buy the noble thane just as much as we buy the power-gorged king and his descent into madness is seamless, and truly disturbing. That being said, star turns from Cotillard and Fassbender are virtually a given, at this point, so it’s worth drawing attention to the uniformly excellent ensemble. Sean Harris’ work as Macduff is particularly extraordinary and I hope this performance sets him up for the future lead roles he deserves. A great deal of credit must also go to Jacob Koskoff, Michael Lesslie and Todd Louiso, whose brilliantly adapted screenplay provides the vital framework for the rest of the movie. I had been left concerned by the 113 minute running time, but they’ve transformed what can feel like a bloated play into a cinematic tour-de-force. There’s an urgency to every scene, whilst always maintaining that magical otherworldliness that permeates the visual palette. It’s Valhalla Rising via Under the Skin, and if that doesn’t sell it to you then I don’t know what will. Seeing the burning of Birnam forest is the kind of cinematic memory that will be seared onto my retina for year’s to come. Justin Kurzel has nigh on perfected a literary classic on the big screen. An immense piece of cinema! ← Blood Moon Review – How Did They Do That?